As some of our readers may recall, the Federal civil suit against Arab Bank has been pending since 2004; even a first-year law student knows that such delays usually occur when the defendant's strategy is to endlessly delay the adjudication of the case. Sometimes the plaintiffs runs out of funds, or resolve, and cases have been known to be dismissed, leaving justice undone. That is not the case here, but the defense in the Arab Bank case is still trying to unnecessarily delay the start of the trial, in the opinion of this blog, but they only achieved a temporary respite recently. The trial date, which the Court set for the Spring, when media attention would be focused upon the graphic testimony about 300 US citizens killed or injured, which will most likely totally alienate the American public even more than it is already, due to its utter disgust at Arab Bank's alleged payment to the families of suicide bombers who killed non-combatants in Israel. That is terrorist financing in its very worst incarnation. Even though the Court has limited discovery, ruling that "the Court will not allow unfettered and unnecessarily burdensome Discovery," the defense still threw out as many obstacles as it could. The defense announced, belatedly, that it intends to take more third-party Discovery than it has in last the ten years of this case, but at the same time, it has not taken affirmative steps to secure that Discovery. The Court took defense counsel's concerns about their inability to complete Discovery before the trial date, and reset the trial date. Now, with jury selection rescheduled for July 13, the trial will begin when most Americans are on summer vacation, and the rest probably less attentive to the news, due to the high temperatures, and warm weather activities. Was this the true intention of all that noise about Discovery and deadlines, I wonder ? Nevertheless, though the wheels of justice have ground quite slowly, there will be a resolution, on the merits, of this case, which Arab Bank surely know could potentially result in a huge jury verdict*, massive reputation damage against the Bank, and even the termination of long-established correspondent relationships with US and EU banks, and possibly the closing of overseas branches. No wonder the Bank fears the trial date; It could be the end of the Bank. * With ISIS/ISIL/Islamic State now potentially on the border with Jordan, where its headquarters is located, the Bank could be presented with another existential threat. 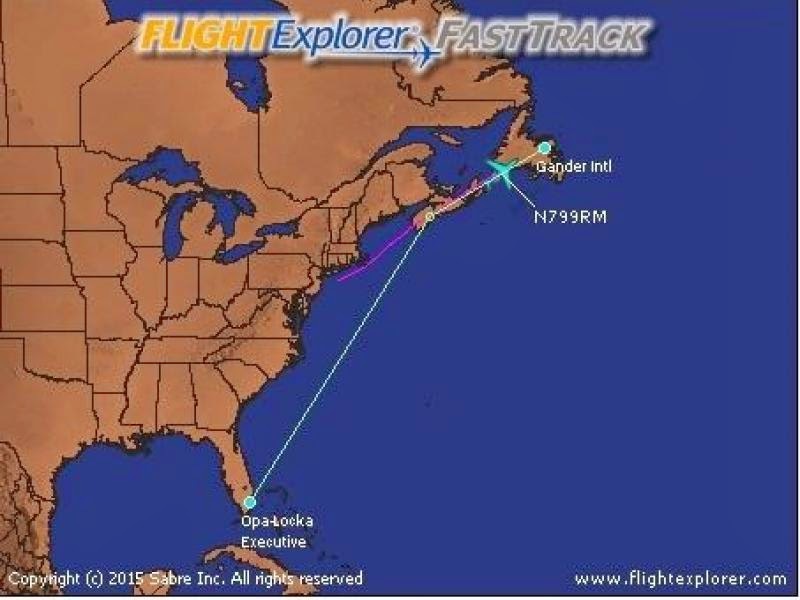 MARTINELLI SENDS HIS BUSINESS JET TO EUROPE; IS HE ON IT, OR IS IT MISDIRECTION ? It would appear that former Panamanian President Ricardo Martinelli Berrocal may be engaging in a bit of deception. 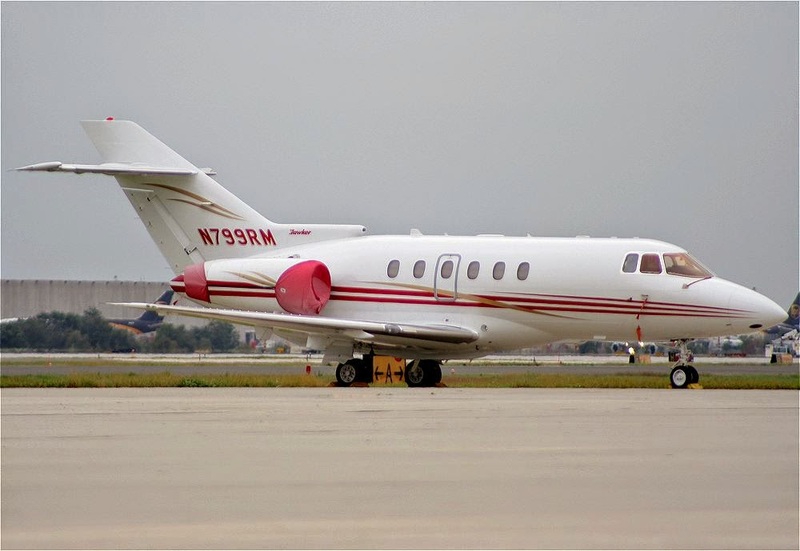 N799RM, Martinelli's Hawker 800 business jet, having deposited him in Guatemala, thereafter flew into Miami's Opa Locka Airport, which serves private aviation, and them on to Gander, Newfoundland, en route to Shannon, Ireland. One doubts that he would take a chance with being arrested on American soil, because there could just possibly be a sealed Federal indictment in the hands of the Department of Homeland Security. Also, the Italian Government would very much like to speak with him, with regard to bribes and kickbacks he reportedly received from a government-owned company that did business with the republic of Panama. Remember Mr. Lavitola ? Do you think he is possibly trying to throw off his pursuers ? Of course; The Panamanian public is literally asking for his head; we can assume his preplanned escape to a Paraguayan estate is in progress, from where his extradition is not likely. Mohammed Dahlen, the exiled former security chief at the Palestinian Authority, his family, and several other Palestinian officials loyal to him, have all received passports from the Republic of Serbia. Apparently, Dahlen, who has been lining in the Gulf, was able to induce Abu Dhabi to agree to invest billions of Euros in Serbia, and fast-track Serbian citizenship for his family and supporters was his reward. Dahlan, who was the probable heir to Palestinian leadership after Yasir Arafit, but who was outmaneuvered by Mahmoud Abbas, is seeking to unseat Abbas, whose government, tried, convicted & sentenced Dahlen in Absentia, and reportedly has a large ($22m) civil suit pending against him.There have been no elections in the Territories for several years, and Abbas' position as president has no legal basis. Here's the compliance problem; Dahlen has a large following in Gaza, as evidenced by a recent demonstration, in his favor, and such a public outpouring of support could not have occurred without the blessing of the Hamas regime, which rules Gaza with an iron hand. One must assume that Hamas is aligned with Dahlen, to some extent, for its own political ends. Remember, Dahlen was, at one time, the PA security head in Gaza; he got plenty of supporters there still. Look at the 2005 photo, above. (1) Dahlen funnels money, received from his Middle East supporters, to Hamas. (2) Hamas financiers (e.g. Turkey or Gulf supporters) deliver money to Hamas, who then send it to Dahlen. (3) Dahlen and Hamas jointly coordinate terrorist attacks against European, Israeli, American, or Middle Eastern targets (e.g. Egypt). (4) Dahlen provides logistical assistance to Hamas agents, in his new home base in Serbia. He has taken possession of a high-security residence formerly used by a President of Serbia. If any of these possible operations occur, then any Western bank that deals with the Dahlen group risks terrorist financing charges, irrespective of Dahlen's own status. Additionally, considering that the other Arabs holding Serbian passports (we do not know that all of the passport recipients were Palestinians) might be involved in terrorist acts, or be affiliated with designated terrorist groups, it is prudent to now check ALL new clients who hold Serbian passports, and who do not speak fluent Serbian. Perhaps a multi-lingual staff member at your bank should be designated to conduct the initial CIP interview with the client, to ascertain whether your new client is not truly as Serbian national. David Boden,who was in-house counsel at Rothstein Rosenfeldt Adler (RRA), the law firm where partner Scott Rothstein sold non-existent investments, was sentenced today to eighteen months in Federal Prison, for falsely verifying that purported legal settlements were genuine. He also received commissions from a number of the sales of the bogus settlements, and reportedly failed to report those commissions. I am troubled by the fact that Boden, who cooperated with prosecutors, and assisted in the investigation, received a very short sentence, in a major Ponzi case where the principal player Scott Rothstein, was sentenced to 50 years. What exactly was an in-house counsel, not admitted to practice in Florida, doing at a small law firm, in a full-time position ? he certainly was not ethics counsel. He wasn't assisting the firm's attorneys with their caseload, and I am mystified as to how much admin duties he might have that would require a lawyer's expertise. Was his function merely to act as window dressing, there solely for the benefit of the investors, to assure them, as a lawyer, of the bona fides of their "investments" into legal settlements ? I have no answer, but a lot of questions. I also want to know why the defendant never became a Florida-licensed attorney; he was counsel at another company before RRA. The fact that the defendant will not be reporting to prison until July says a lot about the quality of the Substantial Assistance that he rendered; the Bureau of Prisons generally can assign him an institution in sixty days, or less, so I assume that the extended reporting date was given to him for that reason. Is 18 months sufficient for a lawyer who was a part of what was the largest law firm Ponzi scheme that I can recall ? the victims trusted all these lawyers, the defendant among them, and believed the tale about the discounted settlements that they could participate in. The Financial Crimes Enforcement Network (FinCEN), in coordination with the Securities & Exchange Commission (DEC), has levied a $20m civil penalty upon Oppenheimer & Co., Inc., for failure to establish and implement an effective AML program, failure to conduct adequate due diligence upon a foreign correspondent account, and for violations of the USA PATRIOT Act. The company apparently allowed massive penny stock price manipulation, suspicious transfer of profits, and suspicious activities of a high-risk foreign correspondent account. FinCEN had previously penalized the company for similar deficiencies, and the agency's Director has stated that its compliance culture must change. The size of the fine should be a wake-up call for broker-dealers with dodgy AML/CFT and CIP programs. Readers who wish to review the complete text of the Assessment of Civil Money Penalty can find it here*. Several former Panamanian ministers, who served in the cabinet of the now-targeted corrupt ex-President, Ricardo Martinelli, are known to have hastily departed the Republic of Panama. Those who have fled are among those individuals who made illicit insider trading profits, in securities of Petaquilla Mining Ltd., through the Financial Pacific brokerage firm. The are also suspected of rampant corruption in their respective ministries. From outside the country, some of the newly expatriate ex-ministers have declared that that they are the subject of an unlawful political persecution. by the new reformist Varela government; They have alleged that they have been marked for assassination by the new government, though no evidence have been proffered in support of these allegations. One wonders whether they will follow Martinelli to the wilds of Paraguay, into some form of exile. Most likely, they intend to evade the long arm of the law, by becoming fugitives from justice. 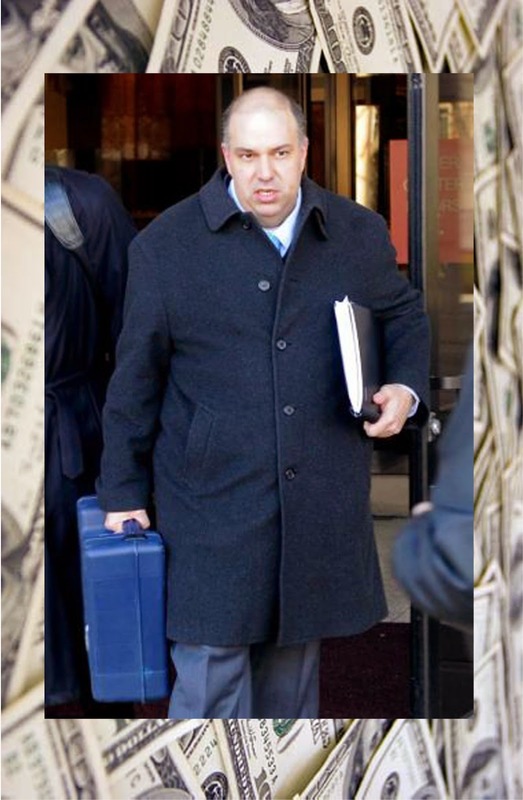 Francisco Illarramendi, who operated a massive Ponzi scheme at his unregistered hedge fund, and lived the high life, taking $20m of his clients' money to fund a rich lifestyle, was sentenced today to thirteen years in Federal Prison, plus three years of Supervised Release. The Court deferred the imposition of restitution until an accurate computation, after payment to victims by the Receiver, can be made. The Government had requested a sentence of at least 12 years, although technically his Guidelines is a Life Sentence, due to the huge amount of the loss sufered by the victims. (1) Illarramendi's objection to the Receiver's distribution plan has already been heard and overruled. (2) Illarramendi stole millions of dollars from his victims to fund his lavish lifestyle, and he has not provided meaningful cooperation to the Receiver. (3) Since his guilty plea, Illarramendi has continued to violate court orders, and divert receivership assets. (4) Any argument that there is a "zero" loss is disingenuous, and not supported by the facts, or common sense. Remember, this is the guy whose house (which he built with stolen money) is so big that a radio signal for a Home Confinement device could not reach all its rooms; He personifies greed and avarice. I personally find the most egregious violation that the defendant committed, during his case, was to take a $600,000 Connecticut state tax refund, that should have been turned over to the Receiver, to help reimburse the victims, who are said to exceed one hundred companies, entities and individuals. A thirteen year sentence is not enough punishment, in my humble opinion; he richly deserves twenty years. Otherwise, he will still be young enough at release to commit additional financial crimes. Alberto Diamond, Panama's corrupt, soon to be ex-Superintendent of Banking, will do most anything to help seize the wealth of foreign nationals who bank in Panama, but the Arthur Porter case has to be the worst case of avarice in Panama's long and sordid recent history of evil acts perpetrated by local banks, in coordination with government officials on the take. Porter, a prominent Canadian businessman who is wanted by his country for white-collar crime, in a little matter of twenty two million dollars, some of which he deposited in Panamanian banks, has been in custody in Panama for close to two years, but the government keeps finding excuses to delay deporting him, as Canada has repeatedly requested. Why, you ask ? Because the banks that are holding his money covet it, and Sr. Diamond is assisting them by placing legal roadblocks in the way of the extradition process. The sordid reason for the delay: Porter has cancer, and should he pass away while in custody in Panama, the banks where his funds are on deposit will most likely choose to retain them. Money unaccounted for in the Murcia case, funds ordered returned to a Nicaraguan national, by a court, but never repaid by Diamond, the Banistmo case, the list goes on and on. Cooperation between corrupt government officials, Panamanian banks, and the corrupt court system, have resulted in huge losses for foreign nationals, and there is generally no avenue for redress. Diamond has become wealthy as the result of his failure to charge anyone with money laundering, or cite the banks for taking client deposits. Porter's wife has publicly stated that, should Porter die in custody in prison there, that she intends to hold the Government of Panama strictly liable. We hope that he survives his detention in Panama, and does ultimately get back to Canada, where facing justice, and the rule of law, is preferable to dying in a Latin American prison, so corrupt officials, and their banker supporters, can get rich. As of January 1, 2015, certain information of American military & law enforcement aid to the Afghan Government has been classified by the United States. This information, which was open-source unclassified for a decade, has been an important tool in the assessment of Country Risk for Afghanistan, and its abrupt and, in the opinion of several US Congressmen, unnecessary, classification means that one must seriously consider raising Country Risk. (1) How many men have deserted from the Afghan Army and police forces each year ? (2) How many have been Killed in Action (KIA) ? (3) How many soldiers received less-than-honorable discharges ? (4) Whether the military and police force units are up to their assigned strength. Inasmuch as we will be in the dark on these facts, due to the US Government's opinion that such information, which is sensitive, could aid the Taliban, and place the US advisers and American contractors at risk, there is really no other choice, but to raise Country Risk. After all, any investment in Afghanistan, extension of credit, erection of brick-and-mortar bank branches, or other financial risks, could wind up as a total loss, should a resurgent Taliban defeat the Afghan Army on the field of battle. Consider the facts, and draw your own conclusions, but in my humble opinion, risk levels are now elevated. Today, Panama's Supreme Court of Justice revoked the immunity of its former President, Ricardo Martinelli, paving the way for his ultimate criminal prosecution on Corruption, Abuse of Power, and Money Laundering charges, among others*. Martinelli literally ran to the Central American Parliament when he left office, to be sworn in as a delegate, and thereby receive a grant of immunity, but it exists only under the law of the recipient's jurisdiction, and Panama's highest court has the sole authority to revoke it, which occurred late this afternoon. Where is Il Duce now ? He was spotted in Guatemala, but is rumored to be heading for Paraguay, where he reportedly intends to live, and where extradition may prove difficult. Of course, should Italy finally get around to charging him with accepting millions of dollars in kickbacks, from government-owned Italian corporations, Italian prosecutors may get first crack at him. * Martinelli is suspected of ordering a number of murders in Panama, and he has directly threatened a number of the potential witnesses against him with death, both to them, and their families, should they testify against him, and let's not forget the Petaquilla Mining Ltd. insider trading scandal where Martinelli, and his ministers, employed non-public information to illegally make millions of dollars. He is also deeply involved in the theft of literally billions of dollars, in cash and realty, from David Murcia Guzmán (DMG). Alberto Diamond R., the departing* Superintendent of Banking of the Republic of Panama, who is being turned out of office for allowing rampant money laundering and terrorist financing among the banks he was charged with regulating, has made a pathetic attempt to salvage his reputation. Sr. Diamond has belatedly sanctioned fifteen Panamanian banks that he has indicated are involved in taking money, in violation of Customer Identification Procedures, and for failing to control deposits of Politically Exposed Persons (PEPs). The civil penalty he will be imposing, which is stated will be a monetary fine between $5000 and $1m, is said to be, in truth and in fact, no more than the $5000 minimum per bank. To say that his actions, or lack of them, have been a direct insult to the international financial community, is a gross understatement. Diamond has allowed money laundering to become the norm, rather than the exception, at virtually all of Panama's domestic and international banks, and he is said to have directly benefited from his inaction as a regulator. Panama which was rated as "high risk" for money laundering on the 2014 Basel Anti-Money Laundering List, did not charge, let alone convict, any financial institution of money laundering, during Diamond's tenancy at the banking agency. Will Diamond be charged with official misconduct ? Did he accept bribes from Panama's banks to ignore their money laundering activities, as has been alleged ? We trust that the new government will investigate every aspect of this individual's actions while in office. * Alberto Diamond was due to depart his position on December 31, 2014, but remains in office, since his successor has not yet been appointed. This neglect, on the part of the new reformist Varela government, has no excuse. If the winter snowstorm has captured your attention, you may have missed the FBI announcement regarding the fact that its agents broke up an operational Russian spy ring, working out of Manhattan. The cover of the leader of that group was his position as a banker for a Russian financial institution. The primary mission of the spy ring was to gather financial intelligence, including information about which Russian companies and entities were slated to be next on the OFAC sanctions list. The ring was attempting to recruit undergraduates at a university in New York to assist them. The ringleader was charged with failure to register as an agent of a foreign state, which can result in a Federal prison term of ten years. The next time a banker, from a country that you know to be an adversary of your country's foreign policy, asks you some detailed questions that are irrelevant to the business that you are conducting with him, stop and think before divulging non-public financial intelligence. You may be talking to an intelligence agent looking for information he cannot get elsewhere. The old adage from the Second World War may be appropriate; Loose lips sink ships. WAS ASSASSINATION OF TWO DUTCH ORGANIZED CRIME MEMBERS IN PANAMA RELATED TO FINANCIAL PACIFIC SCANDAL ? A reputed mug shot of one of the deceased. Two Dutch nationals have been the subjects of what can only be described as professional assassinations; those killed are reputed to be organized crime members, and their criminal convictions, and arms trafficking activities, have been cited by Panamanian media reporting on their deaths. The deceased are reportedly linked to the Financial Pacific/Petaquilla Mining Ltd. insider trading scandal. The deceased are known to have been involved in securities crime in Panama. Whether they were linked to Ricardo Martinelli has not yet been established by evidence, but there is believed to be a connection. The US Attorney's Office in Connecticut, in a 46-page Sentencing Memorandum that it filed in its case against Francisco Illarramendi, related in detail how the defendant turned a $5m "hole" (loss) in his hedge fund into a $383m loss, sustained by his investors, creditors and service providers. The memorandum essentially rebuts all the arguments made by defense counsel, who seeks a sentence fo time served, plus a short period of home confinement. (1) The Guidelines Sentence, which is advisory, was computed at level 43, which is life in prison, due to the amount of loss, but the Government seeks a sentence of a minimum of twelve years. His criminal conduct does not justify time served, which is a short period of pre-trial incarceration. Bogus loan documents, bringing other conspirators into the fraud, lying to government regulators and US law enforcement. His fraudulent conduct was aimed at or motivated by personal gain. (2) His greed overcame his need to recover the initial $5m loss. He spent $20m of the money on a lavish lifestyle. That is inconsistent with his counsel's statements that he was merely trying to recover from a substantial loss. (3) Probation's loss calculation was based on only ten victims; the final Receiver's report tabulated over 100 victims. 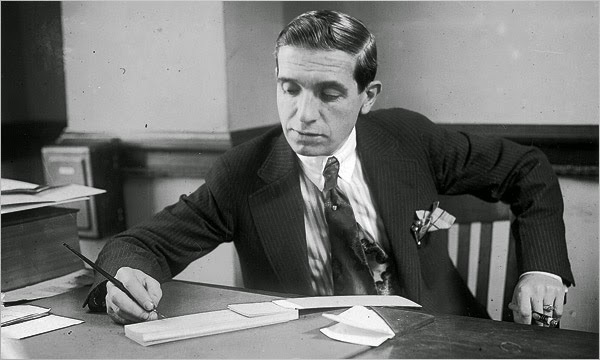 (4) His criminal conduct was a Ponzi scheme, plain and simple. The defendant, when presented with opportunities to reduce the deficit, only made it larger, through conscious decisions. (5) No Downward Departure from the Guidelines is warranted. He did not commit the crimes under "serious coercion, blackmail or duress." (6) A multi-year fraud, during which time the defendant reaped $20m in benefits, and obstructs justice, warrants a 12 year prison sentence. Members of the hedge fund industry will certainly be watching this case, at time of sentencing; obviously, there is a genuine need for a sentence that will operate as a deterrent, and get their attention. Will Illarramendi get a long sentence, like Stanford, Madoff or Rothstein ? Stay tuned. WILL VENEZUELA'S ECONOMY CRASH ? (1) the Parallel (unofficial) currency market rate today is operating just under 185 Bolivars to one US Dollar (USD$). (2) Venezuelan crude oil is selling at $39 a barrel. (3) Inflation, at the present rate, is at 63.6%. We have already recommended that, for Country Risk purposes, Venezuela has passed the point where new foreign investment should not be made, for it represents an unacceptable level of risk. Now, it is time for foreign financial institutions or investors to liquidate, or otherwise dispose of, any financial exposure there, lest you suffer a total loss if the economy collapses. WILL PANAMANIAN CORRUPTION INVESTIGATIONS UNCOVER MURCIA'S MISSING $3bn ? As additional criminal charges are filed against senior government officials from the former Martinelli government, the question arises: will the investigations turn up the over $3bn, which was smuggled into Panama by speedboats, at the direction of David Eduardo Helmut Murcia Guzmán, and never recovered ? Murcia, the Colombian Pyramid/Ponzi Schemer, whose prepaid card program fleeced thousand of victims in several countries, left his illicit fortune in Panama when he was extradited. Where is it ? Added to the mystery is the relationship between Murcia and the Autodefensas, the Colombian Paramilitary organization; it is alleged that Murcia was laundering their narcotics profits, co-mingling them with his Ponzi profits. How much of the three billion was drug money ? We do know that a substantial portion of the Murcia cash was used, by Martinelli and his ministers, to purchase Petaquilla Mining Ltd. Securities, in a massive insider trading fraud, and Martinelli's Super 99 supermarket chain was a suspected participant in the laundering process. Did Martinelli store most of Murcia's cash, and later transport it to Financial Pacific ? Lastly, a close associate of both Martinelli and David Murcia was the American businessman, Gary James Lundgren, who Panama insiders now say has missed payments to his investors, and is currently missing from Panama City. Will a review of his finances result in the exposure of some of the Murcia money ? It's hard to hide billions; we expect that, incidental to the multiple investigations presently ongoing in Panama, some of the missing Murcia money will finally see the light of day. Panamanian investigators looking into the finances of disgraced former Supreme Court Judge Alejandro Moncada Luna have located additional cash on deposit in Panama City banks. The total illicit wealth found to date is over $4.4m, all of which is believed to have been bribes paid to influence his rulings when he sat on the Supreme Court of Justice. The banks were the money was found have not been publicly identified, though it has been established that the money was deposited without any Source of Funds information, by a public servant with a small annual salary and income. Were bankers bribes ti look the other way ? That seems to be the general consensus of opinion, and you can assume that those banks and bankers are also under investigation. Why do we assume a bribe was paid to insure that the large illicit deposits were accepted ? Any ordinary Panamanian national who seeks to deposit as little as $1000, in cash, into his account, find himself the subject of an extensive inquiry at the bank. When it comes to Panama's corrupt PEPs, their money speaks with a loud voice in Panama City financial institutions. 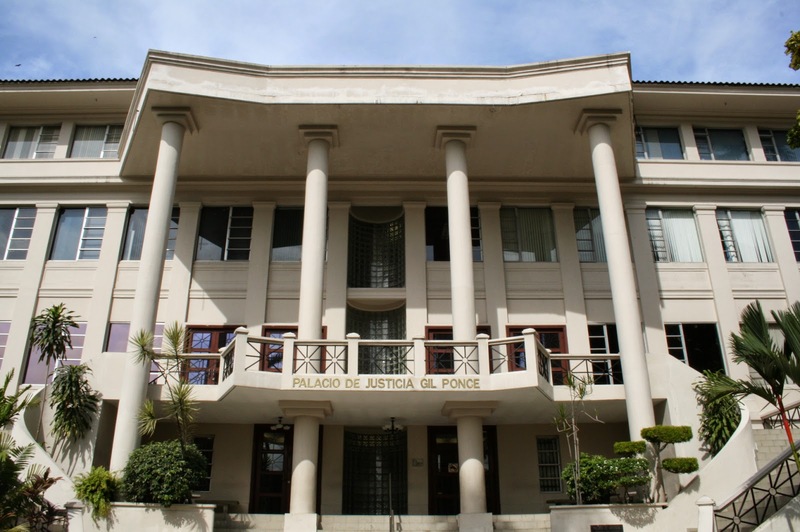 Several individuals who are potential witnesses in the expanding corruption and insider trading investigations in the Republic of Panama have stated that they have been threatened with death, should they testify against the ministers, agency heads, and other government officials who stole from the public treasury, accepted bribes & kickbacks, or received illegal securities profits obtained by illegal access to inside non-public information. *The witnesses have also reported that their families have also been threatened with death, should the witnesses give sworn statements. Some of the witnesses are already in custody, and fear being murdered in prison. The consensus is that the threats originate from former President Ricardo Martinelli, and his supporters, and a recent assassination in Panama has increased the credibility of such threats. Martinelli himself has stated that he intends to return to power, either through the ballot box, or through a violent takeover of the country and its government, and more Panama observers are now taking his threat seriously. * The Financial Pacific scandal, involving the purchase and subsequent sale of Petaquilla Mines Ltd. stock, reportedly using inside information obtained from Ricardo Martinelli, who also made illicit profits. The Eleventh Circuit Court of Appeals has indicated that it intends to schedule Oral Argument in the money laundering case of Marco Antonio Delgado, the prominent El Paso attorney who, while cooperating with law enforcement after his money laundering operation was discovered, betrayed his handlers by continuing to engage in criminal activity*. This appeal is from his conviction for money laundering in the original case. (1) Delgado conspired to launder more than $400,000. (2) Appellant was in the business of laundering funds. (3) Appellant, as an attorney, abused a position of trust to facilitate his money laundering business. (4) He was properly assessed a four-level aggravated role adjustment, for his supervisory & leadership role. Oral Argument has been tentatively set for March, 2015. * if you are not familiar with this case, there are a number of articles on this blog in the Archives. Type the appellant's name into the search boxes on top of the page, or on the right-hand-side, to access them. TO BE OR NOT TO BE A PEP; STEPPING RAZOR OR IRRELEVANT INDIVIDUAL ? more commonly referred to as PEPs, are now included in that classification, I shake my head, and I do not laugh. Inasmuch as the textbook definition of PEP has never been uniformly agreed upon, who is to see if this group of individuals are truly PEPs ? And why weren't they PEPs yesterday ? Do not blindly follow the pronouncements of commercial-off-the-shelf databases, whose staff is generally not composed of attorneys with sufficient governmental experience to opine accurately whether a certain individual has access to public funds, can sign lucrative contracts with the private sector, can sign checks, or in some other way can obtain money by virtue of his position, or is closely linked to someone who is. He may be a junior bureaucrat, but he could still be a PEP. You need to review the personal information on your prospective customer, and make an educated decision on whether to categorize him as a PEP, meaning that you will monitor his account activity accordingly, and set alerts for suspicious activity. If you fail to identify him as a PEP, and as a result he moves millions of dollars in bribes, kickbacks, government funds, or other criminal proceeds through your bank, the responsibility for compliance malpractice fall upon you, and you alone, not the database provider, who thought the individual was too low on the totem pile to be named as a PEP. Forget about the blind obedience to what you read; you as a compliance officer are the ultimate person to decide whether your new client is a PEP or not. Make the decision yourself. As you may recall, the Second Circuit Court of Appeals gave Richard Chichakli until the 20th iof January to have his counsel file an Appearance, or risk a dismissal of his appeal. The appellant has now filed a Pro Se Notice of Appearance and Certification, but the way he is conducting his own appeal continues to confuse the Court, and the rest of us. After his conviction, he discharged his court-appointed counsel, who was assisting only on a stand-by basis, as he had elected to defend himself Pro Se, but the Court still ordered his attorney kept on as stand-by. All his post-trial motions were denied, and he filed a Notice of Appeal. Now he has informed his stand-by counsel, Mitchell Dinnerstein, that he wishes to retain him solely for the purposes of navigating the perils of appellate filings, and not as counsel bringing the appeal. Under those murky circumstances, counsel has filed a motion to withdraw. This leaves Chichakli Pro Se, without any designated counsel. Next, Chichakli has asked the Court to appoint him counsel for the appeal. Remember, he previously complained about his first stand-by counsel's alleged shortcomings, but that lawyer was only performing a limited role regarding procedural issues, and not as defense attorney. If Chichakli wants to file his own appellate briefs, and conduct the case himself, he cannot later complain that his stand-by counsel is not performing as attorney of record; he cannot have it both ways. Let us now see what the Second Circuit does; will it appoint counsel, only for the attorney to find that his client is preparing all the filings Pro Se ? If you think you are confused, imagine how the judge's law clerk's must feel. CI Goldex SA, a Colombian company that traded and processed gold mined in the country, and shipped it to US purchasers, has been alleged to be the center of a reputed $970m money laundering operation, said to be the largest in the country. The company's CEO, John Húber Hernández, has fled and is believed to be in hiding. (2) Companies that did not exist as legal entities. (4) Individuals with no prior connection with gold mining at any level. It probably did not take long for investigators to call all the purported "suppliers,' and to learn that most were fictitious, or bogus. 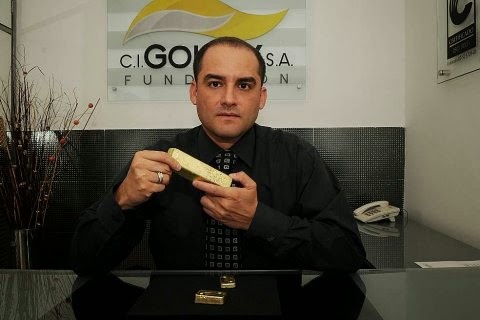 Considering that some of the gold mined in Colombia is sold to support the FARC, a specially designated global terrorist organization, the identity of the source of the gold is extremely important to the Government of Colombia. The takeaway here: if you suspect a client of laundering money, gain access to the names of his vendors, customers and clients; if any of those groups turn out to be bogus, there's a good chance that there is a financial crime in operation in that business, meaning that you must turn the information over to your counsel for further inquiry, review, and possible notification of law enforcement, as well as the timely filing of a SAR. Immediately after leaving office, former Panamanian president Ricardo Martinelli, left Panama, and was sworn in as a Deputy of the Central American Parliament. His position since then is that he may not be charged in Panama with any crimes, due to the immunity conferred upon him by that body. A prominent local legal authority, formerly a Magistrate on the Supreme Court of Justice, Edgardo Molina Mola, has rendered a considered opinion that Martinelli has no immunity in Panama. The basis for his opinion is that, in 2004, Panama's National Assembly removed the immunity provision, regarding its application to Deputies sitting in the country's National Assembly. The law regarding immunity in the Central American Parliament only awards immunity to its Deputies, as it exists in their own country. Since immunity no longer protects Deputies in Panama, Martinelli can now be charged with criminal activity. There was no need to petition the Central American Parliament. In a clear indication that the Nigerian armed forces cannot defeat Boko Haram, the government has ordered the court martial of twenty two army officers. Though the specific charges have not been identified, they are accused of deliberately sabotaging the war effort. It has been alleged that Boko Haram has infiltrated both the army and the police forces.In June of last year, ten army generals, and other officers, were found guilty of supplying arms and intelligence to Boko Haram. When you add the infiltration problem to the rampant corruption that pervades the Nigerian army, which has resulted in an inadequately armed, under-equipped, and poorly paid, fighting force, you have a recipe for military disaster. 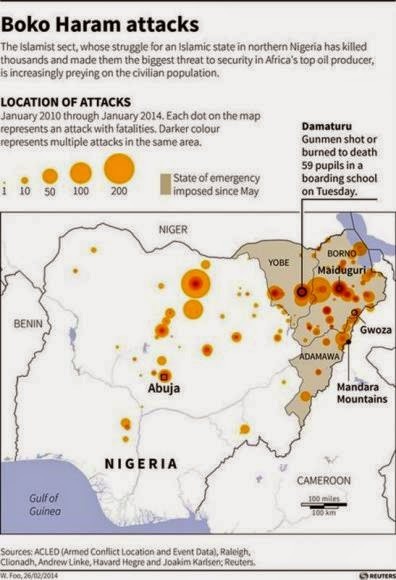 Will Boko Haram continue to defeat the army on the field of battle, and will it result in the partition of Nigeria ? So far, the government has not offered any solution,which translates to an unacceptable level of risk for the international business and financial community. Unless the military situation radically improves, with foreign assistance on the ground it may soon be necessary to red-line Nigeria for Country Risk, for those with financial exposure or investments, reduce potential losses ahead of the catastrophe to come. Shamah's mug shot, for arms trafficking, in Colombia. A senior government official from the Martinelli administration, ex-Minister of Tourism Salomón Shamah, has been accused of stealing over $75m, while in office. Shamah reportedly approved bogus billings, listing ficticious companies that he controlled, as a central component of the scheme. After he assisted Ricardo Martinelli with his successful election campaign, Shamah, who was born in Colombia, was appointed to the tourism portfolio as a reward, even though his US Visa had been revoked. The grounds for the revocation: that he "had connections to a number of known drug traffickers." This information was revealed in a confidential cable from the then-US Ambassador, which was published by WikiLeaks. For that reason Shamah that he was unable to accompany the official contingent that visited the United States Capitol after Martinelli's election. Shamah's brother Alberto, a licensed pilot, is known to have flown for both Martinelli, and convicted Ponzi schemer, David Helmut Murcia Guzmán. Murcia, who earned a reported $3bn in his DMG Ponzi scheme in Colombia and abroad, is known to have smuggled most of that money into Panama, where it was laundered and invested. Most of those Ponzi profits have never been identified or recovered, and are believed to have been stolen by powerful businessmen in Panama, who promised Murcia that they would invest it, but who took possession after Murcia's arrest and extradition to Colombia and the United States. The extent of Solomón Shamah's role is not known, but he, among most of Martinelli's ministers, reportedly used some of Murcia's bulk cash to purchase securities, which were later sold for an obscene profit, relying upon illegal inside information. Several other ex-ministers, and former agency heads, will reportedly be charged with corruption, money laundering, abuse of power, and other crimes, by Panama's new reformist government, which is seeking to clean up the country's sordid image. The US Attorney's Office for the District of Connecticut has filed a notice* indicating that it is asking the Court to defer the amount of Restitution it will order Francisco Illarramendi to pay his victims, for a period of 90 days after sentencing. Apparently there is statutory authority for this request. The stated reason is that there are more than one hundred victims of the Ponzi scheme, according to the Government, and the Receiver's distribution to victims is ongoing; it will not be completed by the date of sentencing. It may be that the payments to victims will be insufficient, notwithstanding that there was a substantial amount recovered by the Receiver, but there are generally substantial costs, including attorneys' and receiver's fees, that must be paid. Illarramendi could end up with a multi-million dollar Restitution order; of course, should he receive a long sentence, which is possible, any Restitution ordered will probably never be paid, as he may not live to serve his full sentence. His Guidelines level is life in prison, due to the magnitude of the fraud; his counsel differs on the calculation. I was unaware of the size of the class of victims, as the fraud focused upon a small number of entities and companies. There may be some final surprises in this case, long after sentencing takes place. The Government has stated that it will identify all the victims in its sentencing memorandum.The District Court has given the US Attorney additional time to respond, since the defendant's filing was late. *Government's Notice regarding Restitution, filed January 16. 2015. What you are seeing is ISIS/ISIL conducting an an anti-French and anti-Christian demonstration outside the French Cultural Center in Gaza. Obviously, the demonstration had the approval of Hamas, for it was permitted to take place; The french Tricolor was openly burned, and anti-Christian slogans chanted, leaving there no doubt as to the intent of the demonstrators, who openly supported the radical Islamic terrorists who committed murder in Paris recently. ISIS/ISIL supporters in the West Bank* are being actively sought out by Israeli law enforcement authorities. Inasmuch as ISIS/ISIL has been sanctioned by OFAC for several years, any financial transaction between a Western bank, and banks in the Territories, could be a part of a terrorist financing scheme, and the United States has taken an extremely strong enforcement position regarding ISIS/ISIL. Is is suggested that any and all financial transactions, with, to, through, or for, West Bank or Gaza recipients not be authorized, unless an enhanced due diligence investigation is performed, and any possibility that the transaction constitutes terrorist financing is ruled out. To do any less is not prudent compliance. * A visit, by the Canadian Foreign Minister, to the Palestinian Authority offices in Ramallah this week, was cut short when Palestinian protestors threw eggs and shoes at the official, and his staff. Alejandro Moncada Luna, the former Chief Judge of the Panamanian Supreme Court of Justice, made multiple deposits, mostly six figures, into accounts at local Panama City banks, none of whom required that he document Source of Funds on the money. The money, said to be bribes paid to Moncada Luna to fix cases that had appeared before the Supreme Court, was readily accepted by the principal financial institutions in Panama. Panama's Supreme Court has long faced allegations of corruption, at the highest levels; cases are said to be intentionally stalled for years, or even dismissed, after large bribes have been reportedly paid to the judges sitting on the Court. In other cases, decisions have been rendered that are contrary to the rule of law. The information about the deposits has surfaced this week, in connection with the ongoing criminal investigations of both Moncada Luna, and the former Superintendent of Banking, Alberto Diamond R. Diamond routinely blocked all audits of Panamanian banks, on the express orders of the then-President, Ricardo Martinelli. The Panamanian public is now openly calling for Martinelli's indictment on corruption charges; whether he goes to prison will be a litmus test of the effectiveness of the newly-installed reformist government in the republic Panama. If Martinelli is not convicted and imprisoned, the prediction, made by many experienced observers of Panamanian politics, that he will not face justice, will, sadly, come true. Many new administrations in Panama trumpet reform, but the status quo generally remains the same. Will President Varela be different ? WILL LEBANON BECOME A BATTLEFIELD THIS MONTH ? If you are not closely following developments in the Middle East, you should know that an Israeli Air Force helicopter-borne missile strike attacked two armored vehicles in the Quneitra area of the Syrian Golan Heights today (Sunday). This action, which was reportedly conducted by Israel to eliminate an anticipated terrorist attack on targets in the Israeli Golan, is believed to have resulted in a total of ten Lebanese and Iranians killed in action. (1) The dead include at least five members of Hezbollah, including a high-ranking officer, whose identity has not yet been released, but who is believed to be Mohammed Issa a/k/a Abu Issa, a senior field commander in Syria. Inasmuch as Hezbollah's leader, Hassan Nasrallah, recently publicly denied that his organization had any troops in the Golan, the disclosure that the attack killed four other Hezbollah agents of military age will probably be received poorly in Lebanon. (2) One of Hezbollah dead is Jihad Mugniyah, known to be in charge of Hezbollah activities in the Golan involving Israel. he is the son of Imad Mugniyah, the former senior Hezbollah military commander, whose targeted death, in Damascus in 2008, has been attributed to Israeli action. The US had a $25m reward posted for the capture of Imad Mugniyah, who was responsible for at least 20 terrorist operations, including the bombing of the US Embassy and Marine Barracks. (3) Others in the list of those deceased include a general in the Iran Revolutionary Guard Corps Al-Qods Force (IRGC), and other IRGC soldiers. The colonel was reportedly a senior advisor to Hezbollah. He has been identified by Iran as General Mohammed Ali Allahdadi. There are also unconfirmed reports that the IRGC intelligence chief for all foreign territories was also among the dead. Hezbollah has declared many times, since 2008, that Mugniyah's death will be avenged, and the question arises: was this Hezbollah's intended response ? It has declared a three-day period of mourning, regarding the deaths in Quneitra. Internal politics, from within Hezbollah, will pressure the leadership to respond with military action. Add this to what Israeli commentators have stated is a realignment of Hezbollah troops, placing them directly opposite the Israeli portion of the Golan, as a prelude to possible terrorist attacks against Israel, and you have a perfect storm of risk: Hezbollah military attacks, on two fronts, from Lebanon, and from Syria. Other experts state that The Assad Regime in Syria has intentionally displaced Al Nusra fighters in the region, so as to give Hezbollah sufficient area in the battle space to operate against Israel in the Syrian Golan. Though Hezbollah is burdened with its role in the existing conflict in support of Assad, it is doubtful that it will ignore this latest action, and Israel will them be compelled to to respond. Already, Israel has increased its alert status; the looming national elections in Israel may also cause the present government to make it a hard reply, leading to escalation, and possible full-scale war, between Israel and Hezbollah. I recently warned our readers that Lebanon stood on the brink of armed conflict in 2015, and that the next Israeli-Hezbollah war will result in widespread damage to Lebanon's financial center, both involving infrastructure, as well as communications, interfering with its ability to connect with the global financial structure. if you have any ongoing relationship with Beirut banks, or your major clients do, it is suggested that you have contingency plans in place, should yet another war break out on the southern border of Lebanon, and your assets, or receivables, be in jeopardy. Quite a large number of compliance officers who do not ordinarily read my blog have accessed the recent article on the problems I have encountered with using the new, expanded version of the Google News feature for due diligence investigations. If you have not yet seen it, you may access the complete text here*. If you read my series on the efforts of former Miami attorney Michael Burnbaum to cover up his dark past, you know that reputation damage firms clog up the Internet with "positive" web pages, articles, asocial media, and other nonsense. Since counterfeit news information sometimes masquerades as authoritative new stories, and since Google News is now including ALL the news stories, going back many years, your search for negative news will have to plow through all of it. Worse, some of the more inventive reputation restoration companies doctor up real news articles, by substituting the name of your target, but this time in a negative articles. Remember how I showed the readers how Mr. Burnbaum, who must have really agitated someone, had his name inserted into several really nasty crimes, as the perpetrator ? If you must use Google News, use it with a grain of salt, and check out all the negative entries that you encounter, for your target may be totally innocent of all the crimes he reportedly committed. If you take the stories posted about him as being genuine, and not altered, you may be doing your customer a disservice. *Is Google News now More or less useful for Due Diligence Investigations ? Just when you thought that the Venezuelan Bolivar couldn't fall any lower; it does. 175.02 to one USD. If you haven't already redlined Venezuela for Country Risk purposes, you are advised to closely examine the facts, and make an educated decision, on strict risk management principles. The Eleventh Circuit Court of Appeals has advised Joel Steinger, who is appealing his conviction and 20-year sentence, for operating a massive Ponzi scheme at his life settlement company, Mutual Benefits Corp., to file his initial brief by the end of January, or face an automatic dismissal of the appeal by the Clerk. The appellant must also file any Appendix that he wishes to file at that time, accompanied by a motion, requesting that the Court accept the brief and Appendix as a late filing. It is unclear whether Steinger has abandoned his appeal, or whether his attorney is having problems handling the case. In any event, it will all be sorted out by the 31st of January, one way or the other. Steinger is known to be basically disabled, due to chronic health condition that requires constant medical care; he has been in a hospital setting while in custody. His bond was revoked when he was accused of committing health care fraud while on pre-trial release. US INVESTIGATION INTO CORRUPTION INVOLVING HAITIAN MINING RIGHTS ? Can someone put these seemingly unrelated events together ? (1) A senior police officer in Haiti, who is closely associated with the President, went to the US Embassy to renew his visa. He was told to return in uniform, and when he did, he was taken into custody and transported to the United States. He has not been heard from, but he has not been indicted, either. Immunity for his testimony, I wonder ? (2) Mining exploration permits, for copper, gold and silver, were awarded to several American & Canadian companies, and to local entities whose ownership is non-transparent. They were awarded when the Parliament, which must approve them, was in holiday recess. The Haitian Senate later revokes them. Most expert believe that the mines would be an ecological disaster in northern Haiti. (3) There are persistent rumors that the foreign companies paid $500,000 for each permit. (3) The Prime Minister was forced to resign; it turns out that, a long time ago, he was a government official in the Bureau of Mines. (4) Rumors of two US Government investigations persist: a Foreign Corrupt Practices Act investigation into the mining contracts & permits, and a narcotics trafficking investigation, into the conduct of several most senior Haitian government officials, including the President and the Prime Minister. Can you connect the dots here ? Disgraced former Panamanian Superintendent of Banking, Alberto Diamond R., who once bragged that seventeen billion dollars in Venezuelan money had been deposited in Panamanian banks, was ordered to ignore Source of Funds and Beneficial Ownership issues, on all that "flight capital" and not to audit the country's banks for money laundering issues. As the result, zero compliance on narcotics profits, bribe & kickback money, and funds stolen from agencies of the Government of Venezuela, flowed directly into Panamanian banks. Who ordered this ? Former President Ricardo Martinelli. The reason: Alberto Diamond, whose work experience prior to his appointment was solely as an accountant at KPMG, and without any banking background whatsoever, was married to a close relative of Martinelli. He religiously followed Martinelli's orders: No audits of Panamanian banks, no money laundering investigations, and especially, no investigation of the Financial Pacific scandal, wherein Martinelli and his ministers reaped millions of dollars in illegal insider trading profits. Diamond also targeted Panamanian businesses that Martinelli wanted to hurt, or take over, and he killed the government investigation into the $3bn David Murcia Ponzi scheme. For those readers who always wanted to know why nobody was ever charged with money laundering the billions going through Panama's banks, during the Martinelli administration, blame Sr. Diamond and Martinelli equally, please. ARE OIL AND ENERGY PROFITS, AND FOREIGN BANKS, SUPPORTING BOKO HARAM ? The utter failure of the corrupt Nigerian Army to defeat the armed forces of Boko Haram on the battlefield, where the Army's small arms are no match for crew-served BH firepower, is only half of the story. Massive oil and energy profits, apparently earned with the curious assistance of Western financial institutions, are said to fund the BH military machine, and its political allies, at the highest level in Nigeria, could ultimately result in the creation of a radical Islamist state in a breakaway northeastern Nigeria. A leading Opposition presidential candidate, from the Peoples Democratic Party, General Muhammadu Buhari, who is an Islamist, has openly Supported Boko Haram. he has called on the government to grant them a general amnesty, rehabilitate them, and pay them, as it has done with other militant sects, he also has stated that any attack on Boko Haram is an attack on the people of Northern Nigeria, and that Government treatment of the radical sect is injust and unconstitutional. Serious questions have arisen regarding Buhari's campaign funding, and funding for Boko Haram, allegedly originating from a locally-owned company known as Sahara Energy, whose links to Buhari, and his political allies, are well known. Sahara Energy's rapid rise has many Nigerians wondering whether it financially benefited from its close relationship with senior government figures tied to Buhari. Sahara also has enjoyed a special relationship with BNP Paribas, and been the beneficiary of extremely favorable credit lines and extensions of credit. Where does BNP Paribas figure in Nigerian internal politics, especially those who are BK supporters ? It would appear that the Nigerian Army is unable to defeat Boko Haram, and Western military aid may be too little and too late. Will Nigeria end up split in into two parts, one Islamist, and one consisting of those parts of the country not conquered by Boko Haram ? It is impossible to say, but Country Risk levels for Nigeria are about to fly off the charts. WILL MARTINELLI BE INDICTED IN ILLEGAL SURVEILLANCE SCANDAL ? It may now be impossible for Panama's new Attorney General*, Kenia Isolde Porcell Diaz, to avoid naming former President Ricardo Martinelli with the same Invasion of Privacy, and Violation of Confidentiality charges levied upon his associates in the National Security council who wiretapped, recorded and eavesdropped on his orders. Several prominent Panamanian families, and their attorneys, reportedly paid a visit to her offices to demand that criminal charges be filed. They are reportedly incensed that they private lives have been illegally recorded. This new development occurred after a search of one of the residences of one of the arrested Secretaries of the National Security Council yielded a treasure trove of video tapes heretofore not known to exist. It appears that Martinelli' domestic surveillance program taped encounters within the guest rooms of several of Panama City's best hotels. A number of the tapes are said to expose the private loves of prominent Panamanian businessmen, government officials, and their paramours. These illicit video tapes were among the tools used by Martinelli to extort money, obtain advantages in Panama's commercial sphere, and even coerce conduct that good taste does not permit us to divulge in print. Will the former president now face justice for his crimes and transgressions ? The Supreme Court of Justice has reportedly initiated proceedings that will culminate in a vote to terminate any grant of immunity that he may possess, by virtue of his hurried appointment to the Central American Parliament, after he left office. Whether the government of Panama's new reformist President, Juan Carlos Varela Rodríguez, obtains Martinelli's arrest, conviction, and imprisonment, is one of the challenges facing the new administration; let us hope that they are up to the task. * En Español, Procuradora General de la Nación. Counsel for Francisco Illarramendi, the hedge fund operator who is looking at a possible sentence of life in prison, without any possibility of release prior to his death in custody, has belatedly filed his 74-page Sentencing Memorandum. After an extensive argument, he concludes that Illarramendi should receive a sentence of such short duration, that he would be eligible for immediate release; you be the judge of the merits of his position. (1) Irrespective of the fact that the defendant admitted that he was running a Ponzi scheme to stay afloat, that he was guilty of fraud, and had engaged in illegal bribes and kickbacks, in order to stay in business, his hedge fund activities were not a Ponzi scheme. (2) His motive was to protect his investors; any criminal conduct that he engaged in was merely aberrant behavior, as he had good intentions, but erred in his methods of problem solving. (3) PDVSA, the Venezuelan Government oil monopoly, was guilty of unclean hands. he was merely seek to keep himself and his family alive in a sea of vipers. (4) The Sentencing Guidelines computation, by the US Probation Office, was calculated at Level 43, which is a Life Sentence. Under the Sentencing Reform Act, there is no good, or gain time for a life sentence, and he will not be released until his death, if that is his sentence. (5) The computation includes a 28-level increase, due to the $200m-$400m loss calculation. The actual loss suffered by the victims is zero, because the receiver has acquired $354m in assets, as against $250m in valid claims. Therefore, 100% of the claims will be paid, and if you disallow a number of smaller enhancements, and give him credit where credit is due, he ends up at a Level 11. (6) A Level 11, given that he has spent 2 years in pre-trial confinement, after his bond was revoked, means that any sentence in that range translates to time served, meaning that he should be release forthwith. (7) Counsel submits that six months of halfway house or home confinement (house arrest), and five years of Supervised Release, is appropriate after his release. (8) "Actual imprisonment is not necessary," given his work history and background as a legitimate financial services professional. Having read this persuasive argument, I want you to consider the definition of loss. Federal decisions hold that loss is the greater of actual or intended loss. Intended loss is the "pecuniary harm that was intended to result from the offense. *"
There were actual losses here. You cannot walk away from criminal conduct because the subsequently-appointed Receiver had not been extremely effective in assembling assets, there would have been substantial net losses at the end of the case. By any definition, actual or intended, there were nine-figure losses when the hedge funds crashed and burned. Of course, there is always the possibility that defense counsel is populating the record with citations to authority, which may aid his appeal of the sentence ultimately handed down, where he will seek an appellate reversal, and remand, for re-sentencing. We now await the filing of the reply of the US Attorney's Office; you can be certain that it will respond in detail to defense counsel's arguments, focus on his criminal conduct, and seek a penalty in accordance with the Guidelines computation of the USPO. It may recommend 20-30 years, rather than life imprisonment, for that could be considered harsh in a white-collar case, and not in line with the Ponzi sentences meted out to Alan Stanford and Scott Rothstein. Sentencing looms on the horizon. The above document surfaced recently, in connection with the massive Financial Pacific insider trading scandal, in which many former ministers in the Martinelli government made millions of dollars illegally, by trading upon insider information. When the scandal broke, it was learned that the Financial Pacific account was empty, and some of the principals hastened to deposit funds, so as to dispel the rampant rumors of securities fraud. This document represented a USD $12.2m* deposit into the FP account. 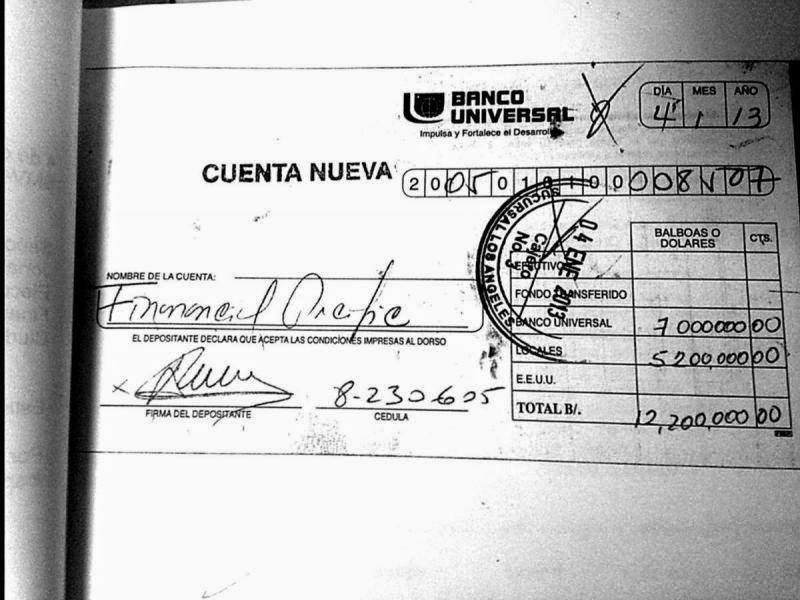 Note well that seven million dollars, in cash, was deposited into the account at Banco Universal. We understand that there was zero compliance required by the bank on this mountain of cash.The balance of the deposit, $5.2m, was in the form of checks. Where in the civilized world can a client deposit $7m, in cash, without showing Source of Funds ? Welcome to Ricardo Martinelli's Panama, where corrupt banking officials made sure that local prosecutors never indicted anyone for money laundering. We hope the new reform government will continue changing this. * Panama has used the US dollar since 1904, though legally it is called the Balboa, trading at par with the dollar. Counsel for David Boden asked the sentencing judge for a 90-delay in his sentencing. His detailed motion revealed that his client was not going to get a 5k1.1 filing from the US Attorney's office, which would have allowed the Court to depart below the Guidelines sentence; apparently he still has to testify at two more criminal trials, and they were still pending. Thus his counsel sought an extended delay. 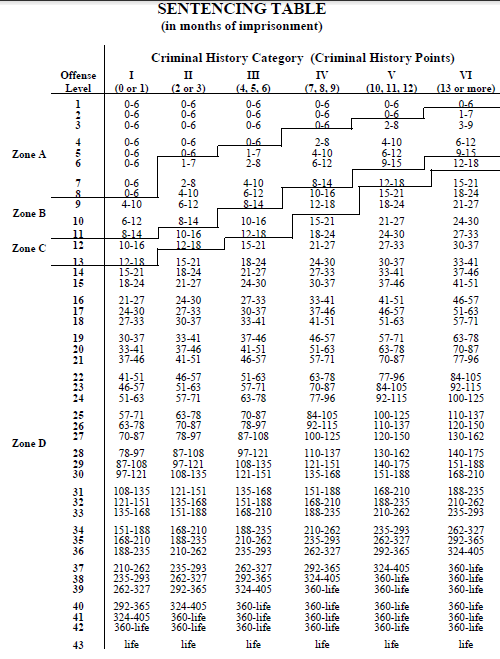 (1) Boden's crime represents aberrant behavior (the Guidelines allow downward departure for this). (2) The loss overstates the seriousness of the offense (the high dollar amount of the Ponzi scheme increases his Guidelines computation, when he pled to a relatively minor offense). (4) Incarceration will work a hardship upon the employees at his new company (this is a stretch). (5) Incarceration is not necessary, as demonstrated by the length of time that has passed since the offense. (this could be argued in good faith, either way). (6) His incarceration is not necessary to protect the public, or to provide just punishment, or to reflect the seriousness of the offense ( Perhaps the only valid point in the motion). (7) He has already been punished enough; conviction of a felony, loss of law license, his home, and his reputation in the community (is this enough punishment to deter others ? I doubt it). The defendant, as in-house counsel at the Rothstein law firm, was an integral component in a massive Ponzi scheme; to let him walk away without any prison time whatsoever sends the wrong message to the business community. A final note: the Court only delayed the case until the end of the month, not the ninety days requested. Secretary Gustavo Perez being arrested. In an unusual midnight raid, conducted in eleven locations throughout Panama, several individuals, including the two top officials in the National Security Council, were arrested, and charged with Invasion of Privacy, and Violation of Confidentiality; Gustavo Pérez and Alejandro Garuz were taken into custody. They are alleged to have run an illegal surveillance operation, on behalf of former President Ricardo Martinelli, using the sophisticated $13.5m telephone Internet interception equipment that Martinelli had the Government of Panama purchase, ostensibly for national security purposes, and which is now missing, and being operated by Martinelli from a hidden location outside Panama. The surveillance program, which reportedly monitored over 150 Panamanians, concentrated upon former government officials, Opposition leaders, foreign businessmen whose assets Martinelli coveted, and prominent women whom Martinelli blackmailed for sexual favors. It is believed that Martinelli initially acquired the equipment to learn whether anyone had evidence or information linking him to the approximately $3bn never recovered from the master Colombian Ponzi schemer, David Eduardo Helmut Murcia Guzmán. Martinelli, who did business with Murcia, and reportedly laundered millions of dollars of Ponzi profits through his supermarket chain, and elsewhere, allegedly kept an estimated $1bn of Murcia's money, after the Ponzi king was extradited to Colombia. That cash has reportedly been employed in a number of illegal Martinelli operations, including funding purchases of securities in the Financial Pacific insider trading scandal. 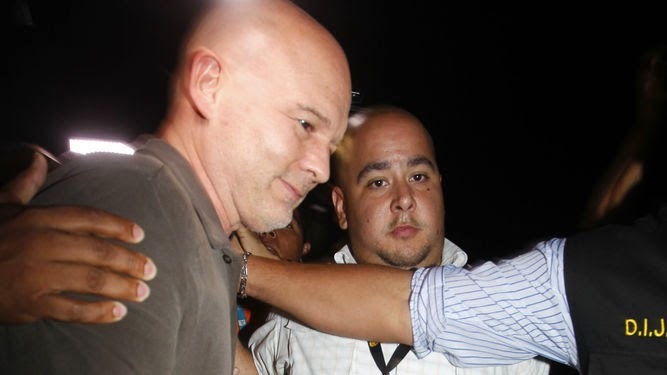 Martinelli is known to have openly expressed his fear that Murcia will make good on his threats to retaliate against Martinelli's family, for the theft of his money, much of which was smuggled into Panama via speedboat, and turned over to Martinelli, for laundering and investing. The whereabouts of David Murcia, who was serving a long sentence in the United States for his crimes, in a Federal Prison, are not known, and a witnesses has reported seeing him; he may be cooperating with the authorities. Murcia has also been linked to narcotics trafficking activities. It is hoped that the Directorate of Official Investigation (DIJ), the lead agency, will also be able to uncover evidence regarding a number of unsolved homicides in Panama, which are said to have been confirmed extra-judicial executions, conducted on Martinelli's orders, by an individual whose identity is known to the United States. President Varela's anti-corruption and reform campaign appears to have gained momentum with these arrests. As this case unfolds, we shall be updating our readers on all developments as they occur. Notwithstanding the Second Circuit's warning that appellant Richard Chichakli will have his appeal dismissed on the 20th, unless someone filed a Notice of Appearance and Certificate, there has been no such filing. he has also not sought to expand the Record on Appeal through the District Court, as required. I know because I have just now checked. Who is drafting his pleadings, anyway ? Whomever it is, they apparently do not know what they are doing. Perhaps it is time for him to bring in a real lawyer on the appeal. Chichakli filed TWO separate Notices of Appeal from the trial court's decision. They were filed on different days, eliminating the possibility that it was merely a clerical error. The Court has chosen to regard the second one as a duplicate filing. Personally, I would really like this appeal to survive long enough so that we can see the initial brief, from Chichakli's previous filings promise heretofore unknown about his, and Viktor Bout's relationship with US Government agencies. Can the appellant please obtain competent counsel here, and stop relying upon itinerant jailhouse lawyers for advice ? A US District Judge in New York has denied the request of Stefan Buck, a Swiss banker wanted in the United States for assisting American taxpayers in hiding their assets abroad, for the opportunity to have a bond hearing in his case, in his physical absence. Buck was indicted in 2013, but Switzerland does not extradite its nationals for tax offenses. He was a banker at one of the Swiss financial institutions accused of assisting American tax cheats, Bank Frey & Co., and which hurriedly closed its doors in 2013, when it came under criminal investigation in the United States. .
(1) Buck was in Switzerland when the indictment was issued; he did not flee the United States, and therefore was not a fugitive, citing Southern District of New York and Second Circuit decisions. (2) He would post a "reasonable bond package, " and appear when and as required by the Court, but wanted the right to leave the US when not needed. He objected to the Government's requirement that he remain within the Continental United States until the case was tried. (3) His counsel asserted that the bond statute does not preclude his absence from the bond hearing, and cited a Southern District of Florida case, United States vs. Ogiermann*, in support of that argument. (A) Stefan Buck is a fugitive; the Court cited 2nd Circuit and SD NY case law, distinguished Ogiermann, and noted that when a defendant, who is outside the country when an indictment is announced, and where thereafter declines to return, has committed "constructive flight." (B) The Fugitive Disentitlement Doctrine applies; A fugitive cannot pursue actions that may benefit him, while at the same time evading actions that might sanction him in the same court. (C) The Federal Bail Statute shows that personal appearances in court must must precede applications for bail. The statute instructs that a defendant must appear in court before the judicial officer decides whether to grant bail. Was the defendant's motion pure Swiss banker arrogance, or a good faith effort, by counsel, to obtain a workable pre-trial arrangement for his client, that would allow him to avoid a long stay in the United States prior to trial ? Whatever you think the truth is, the Court's ruling was eminently correct. The ruling discussed, at length the problems which would ensue, should fugitive defendants have the ability to apply for favorable bail from afar, and decline to accept the terms, should they not like the court decision. Defendants much subject themselves to the personal jurisdiction of the court to make application for bail. Stefan Buck will, most likely, continue to remain in Switzerland, outside the long arm of American justice, joining a number of other Swiss banker fugitives. There is reportedly an INTERPOL Red Card issued, though, so any international travel he undertakes may place him in custody, and back in the news. * Case No. : 10-cr-80157 (SD FL). Order Setting Conditions of Pre-Trial Release. This appears to be an unreported case. If you were looking for an indication of how serious the US Government is about Ponzi schemes, this week's unusual post-judgment developments regarding the other defendants in the Bernard Madoff cases should confirm that it is looking to make additional points to the public, beyond Madoff's extremely long sentence. The US Attorney's Office in Manhattan has filed notices that it is appealing the sentences of five of the Madoff defendants. Government appeals of sentences do not occur often, probably because prosecutors are usually satisfied with the severity of the specific sentences handed down by the District Judges, or that they are within the calculated Guidelines range. But since these prosecutors will be appearing, again and again, before any judge whose sentence they decide to appeal, they had better have grounds, as specified in the statute, before they take that step. I note that the Government, in some cases, asked for twice the prison time that the Court ultimately handed down in the Madoff sentences, and this was a billion dollar case. I understand that the idea is to send a message to the business community, to deter future offenders, but the reason may be more practical: if the Madoff defendants, in this huge case, do not get a lot of time, lesser defendants' counsel may point to the (relatively) short sentences in other, minor cases, in the future; Perhaps the sentences were too lenient, given the size of the Madoff case, and its effect upon the many individuals who lost everything. Even minor players in Scott Rothstein's billion dollar bogus court settlement/Ponzi scheme case are being charged and convicted. Richard L Pearson, a commission broker who sold only $3.3m* of the counterfeit investments, has been sentenced to two years in Federal Prison, followed by one year of Supervised Release**. Pearson worked through Rothstein Rosenfeldt Adler in-house counsel, David Boden, who reportedly took a kickback from Pearson on his commissions. Boden was also charged, and will be sentenced in the near future. You may recall that Boden was not a member of Florida Bar, though he was responsible for dealing with state and Federal government administrative agencies, and regulators, in the course of his employment, which begs the question of how he was able to appear before these agencies when not a practicing attorney in Florida. Some administrative agencies require an individual representing a corporate entity to be qualified or formally admitted. I think you can expect a longer sentence when the Court gets around to Mr. Boden. * It has been reported that the net loss of the victims Pearson sold to was $2.4m . ** Case No. : 14-cr-60229 (SD FL). Richard Chichakli, who filed a Notice of Appeal* from his criminal conviction, may want to associate himself with a more knowledgeable group of jailhouse lawyers, for his appeal is in jeopardy for purely procedural reasons. The Clerk of the Second Circuit of Appeals ordered, on January 5, 2015, that Chichakli's appeal will be dismissed on January 20th, if a Notice of Representation and Acknowledgement is not filed by that date. Federal Appellate Rule 12 requires that counsel file one within 14 days of the filing of the appeal, and this has not been done. Chichakli's stand-by counsel for the trial, court-appointed, filed the notice of appeal, but it appears that he is not the attorney of record for the appeal. Chichakli subsequently asked the 2nd Circuit to appoint him counsel, but the Clerk has demanded that he notify trial counsel that he represents the appellate. It is my understanding that there is no constitutional right to stand-by counsel, if one chooses to represent himself on appeal. Will the Court ignore or deny his request ? All this should have been straightened out by Chichakli early on, and whomever is ghost-writing his pleadings should have anticipated that this issue would come up; read the rules, gentlemen. Remember, as we are taught in civil procedure class, more cases are won or lost, due to procedural issues, than on substantive law.